WildZests: Pozu's Turns Two !!! With kids around, time just flies by. I still can't forget the first time I held baby in the operation theater and yesterday she's already turned two!!! 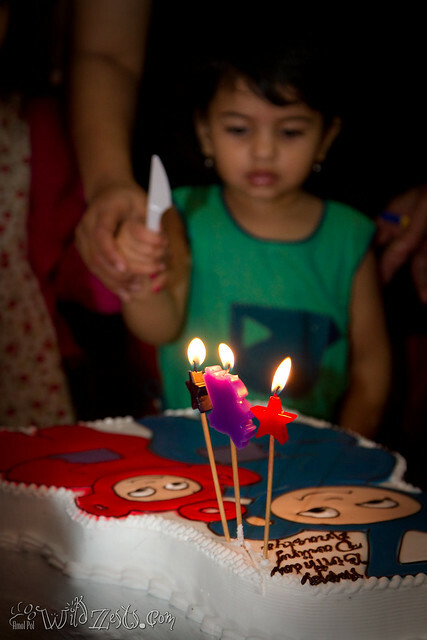 Like we did on her first b'day, even this time we had a small house party with some good old friends joining us for the evening. The kids had a lot of fun together and Pozu enjoyed herself thoroughly.